We are proud that all Cast Iron Radiators are hand made right here in Britain. They are hand assembled, hand painted and tested to ensure you receive the very best in Cast Iron Rads. 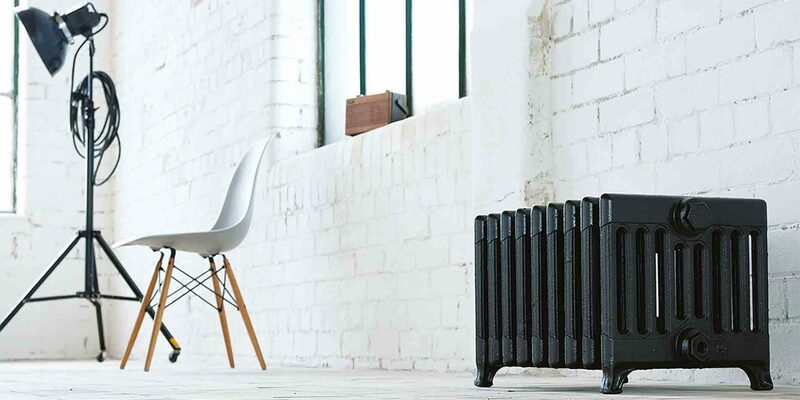 Each and every cast iron radiator is bespoke to your taste and your requirements. Use our heat calculation service and we will make sure the radiator you choose will heat your room adequately and provide you the most comfort. Simply tell us the dimensions of your room, how many windows there are and whether they are double or single glazed and we can help you choose what radiator will best suit your heating needs. Choose from our range of Traditional and Victorian style radiators that will compliment modern and period homes. Select from our almost endless range of finishes, polishes and colours. We can even colour match to popular paints so that your rad compliments your interior. And to give your radiator that final touch, select from the extensive range accessories: traditional and modern style radiator valves, wall stays and pipe shrouds. Our goal is to make the process of getting your new, unique radiator as simple as possible. We can install your radiator for you. Saving you the time and hassle of arranging trades people. We want you to benefit from your new radiator right away. Not only do the radiators output a large amount of heat (perfect for the cold winter months), they serve as a beautiful feature in your home all year round. Go for a decorative Victorian radiator with a floral pattern for the old world elegance, or a more subtle Traditional radiator for turn of the century charm. Check out our brochure for Prices and more detailed information of each radiator. Visit our showroom to experience the craftsmanship and quality of these radiators first hand.